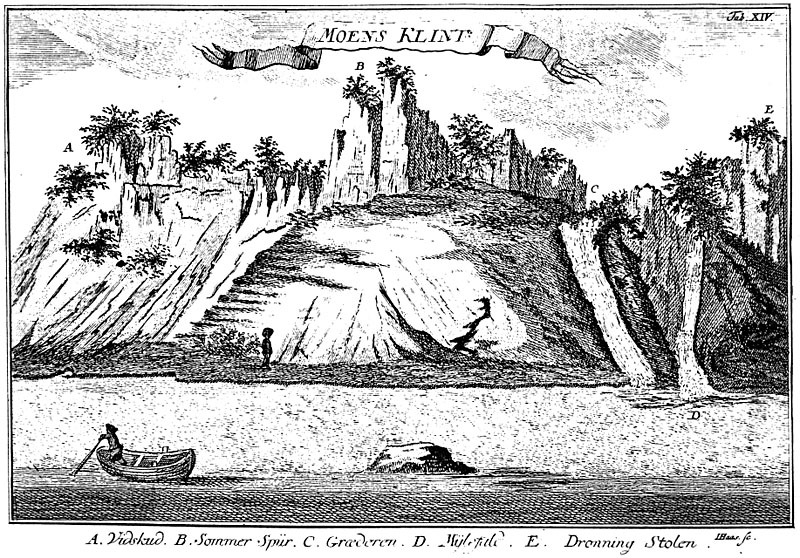 Earliest known illustration of Møns Klint, Denmark, from Pontoppidan's Danske Atlas (1764). One of the most famous glaciotectonic sites in the world; disrupted chalk masses stand in vertical positions >100 m above sea level. Adapted from Aber, Croot and Fenton (1989, fig. 1-2). Return to glaciotectonic bibliography homepage.